Bet365 is a gaming operator regulated by the Gibraltar Gambling Commissioner and licensed by the Government of Gibraltar. 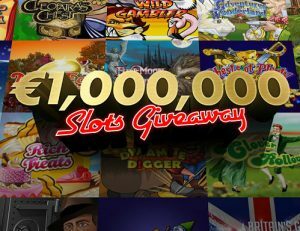 This casino offers plenty of slots and games, from software such as Microgaming, NetEnt, Playtech and others, including jackpot slots (Cleopatra’s Chest, Incredible Hulk, Wolverine and others), instant wins, arcade games (Hi-Lo Gambler, Ultimate Keno), table games (Live Baccarat / Roulette / Casino Hold’em, and more), video slots, bonus slots, and premium slots. These games and slots can be played using your mobile devices (Android, iPhone, iPad), playing directly into your web browser (instant play), or by downloading the games software. Clients can use a lot of methods of payments (for deposits and for withdrawals), and currencies (EUR, HUF, JPY, NZD, NOK, SEK, RON, USD, GBP, and others), and the customer support is available 24/7 (using: phone, email, live-chat, and fax). You can stake €12 cash cumulatively across any number of Double Ticket Games or Featured Games during a stated qualification round and it can be made up of multiple stakes of smaller amounts. No minimal risk wagering is allowed to contribute towards any part of this promotion, including bonus wagering requirements or the accumulation of any points. The promotion is available in multiple currencies. So even if you use the GBP, USD or EUR, you have other options to play in your local currency. This is based on the rounded conversion rate of £10 as detailed in the Promoter’s Terms and Conditions, any currencies not stated will not qualify.